Overview of the purchase: Our clients were seeking a 2 bedroom apartment on the lower North Shore with very stringent criteria. Within 3 weeks of commencing our search a Naremburn property was located which ticked all the boxes. 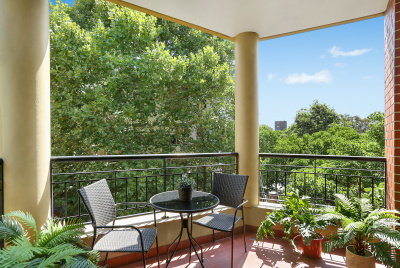 Located within a coveted well maintained apartment complex, this 125 sqm property offered 2 large bedrooms, 2 full bathrooms, internal laundry, updated kitchen and a North facing terrace overlooking manicured gardens, plus double garage parking and storage facility. Purchased well within our appraised market value, these first home owners were over the moon.